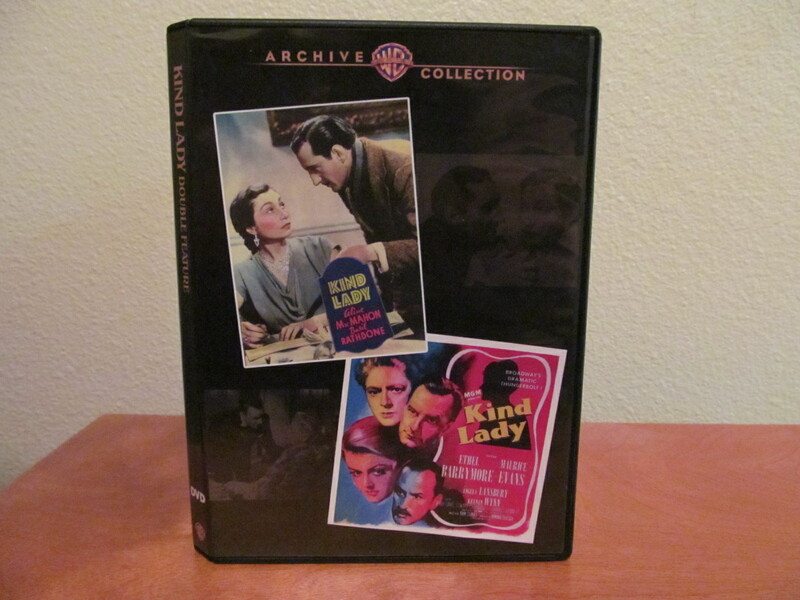 Warner Archive has released the Kind Lady Double Feature on DVD. These two films are housed on one disc and are manufactured on demand on a DVD-R. The first version of the film is from 1935. 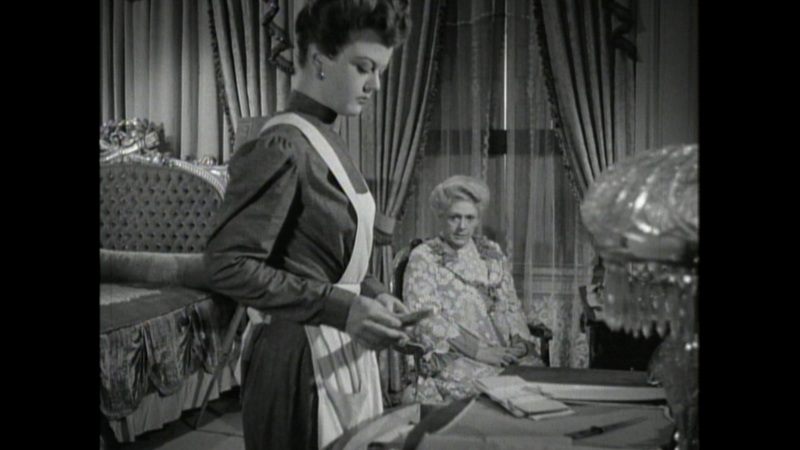 The second is a larger budgeted remake from 1951. 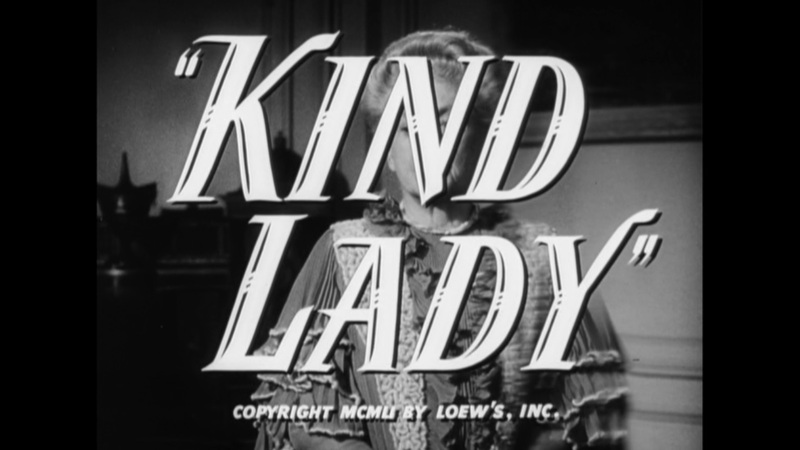 Kind Lady is an adaptation from the hit Broadway play by Edward Chodorov, which itself was based on a Hugh Walpole story. I bet you thought only modern movies were remake happy! Both films follow a similar story but with different flavors and approaches to the characterizations. 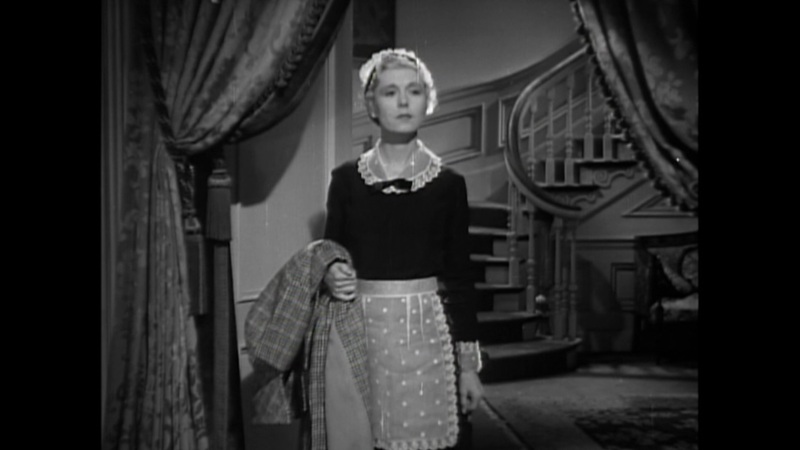 Kind Lady from 1935 stars Aline MacMahon who plays the lead role of Mary Herries, a wealthy spinster. One evening on her way home from a Christmas concert, she sees what appears to be a poor starving artist outside her home. Feeling pity she gives him food and money. Then as she opens her heart with kindness, she realizes that she is starting to be fond of him and his apparent love of art. However, the situation starts to go sideways when he returns the next day to sell her some of his own artwork and refuses to leave until she pays him. 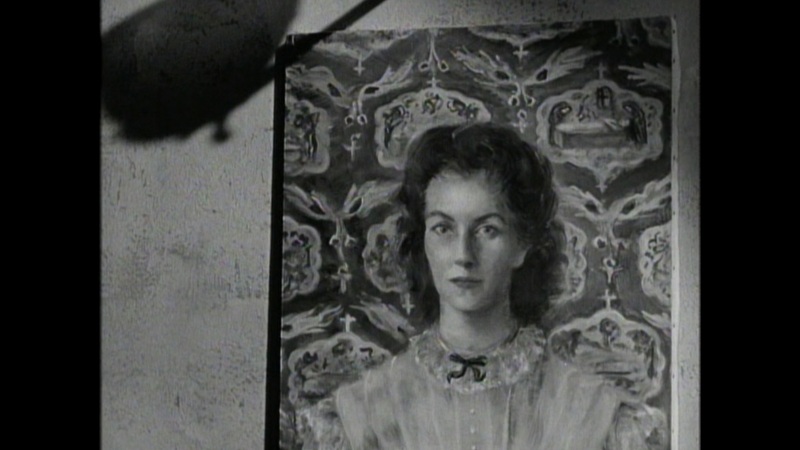 MacMahon is sort of a forgotten but well received actress in the early film era. It’s nice to get to see more of her movies getting releases. The actress is much younger than the stage version so the script added more sexual tension between the leads. The characters are well written and seem realistically portrayed. Kind Lady moves at a nice pace and lasts 77 minutes. 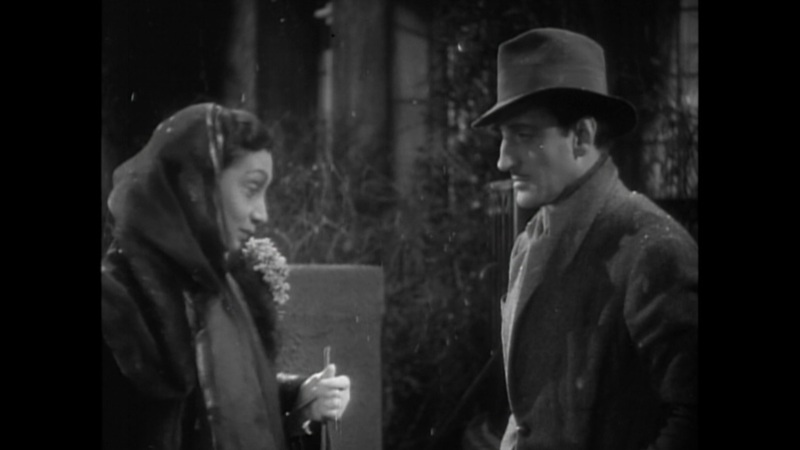 The commanding character actor Basil Rathbone plays Henry Abbot. Abbot is a charming individual that the audience slowly learns more about through the film. He starts off as being a down on his luck artist but we learn he is more than meets the eye. 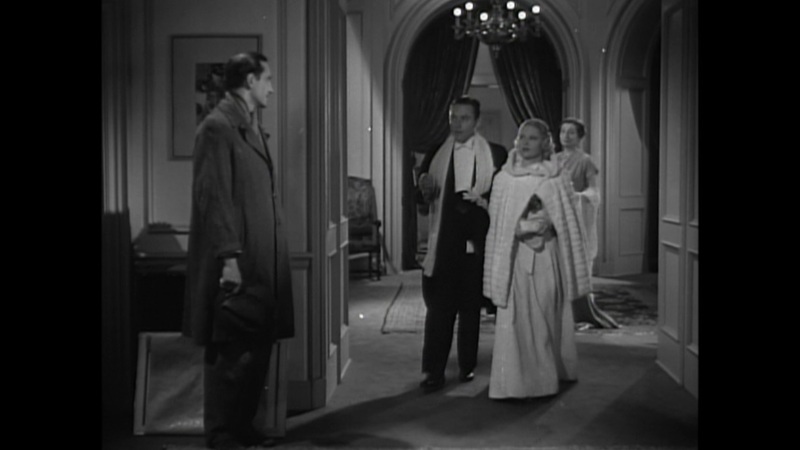 Rathbone’s performance is so rotten and sleazy that you can’t help but hope to see him get what he deserves. While the film shows it’s age and it still seems heavily rooted in theater, it’s a well crafted thriller that entertains. Kind Lady from 1951 has a similar story line but turns Mary Herries’ age back to the older version from the play. I think that this works a bit better for the story. We also get a great late career performance from real Hollywood royalty, Ethel Barrymore. 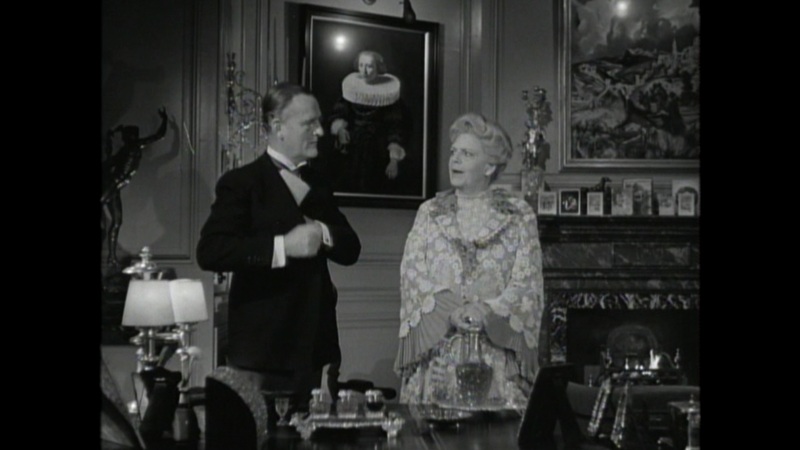 Angela Lansbury also stars along with Maurice Evans who plays Henry Elcott. I’m not sure why they changed the name but they did. 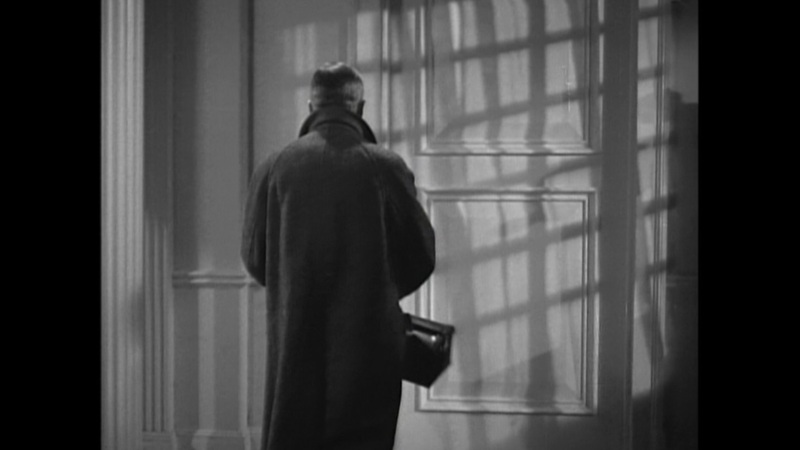 Once again the Henry character is a charming person who then turns things sour and becomes evil (for early Hollywood at least). Once again the story and characters are well done. Modern audiences may find the movie slow but at only 78 minutes long and with myself being used to black and white film I was entertained for the entire run time. 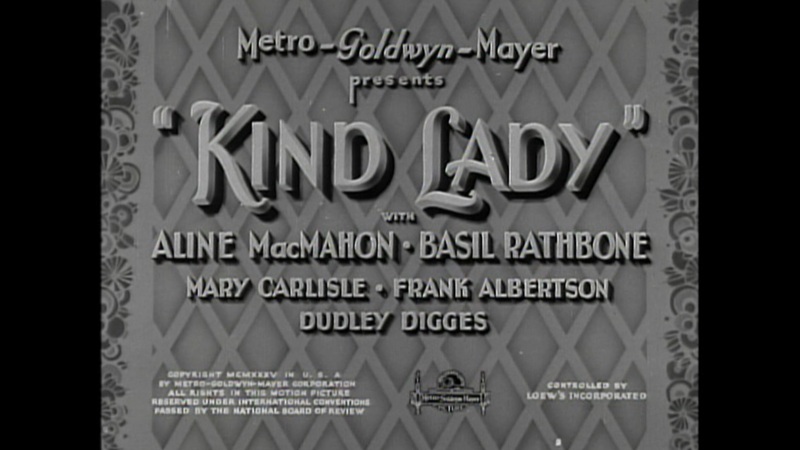 This version of Kind Lady was directed by John Sturges. He is a fantastic director (The Great Escape, The Magnificent Seven) and it’s nice to see his work before his more popular pictures. He has a good command of the camera and the actors all seem to fit the material well. 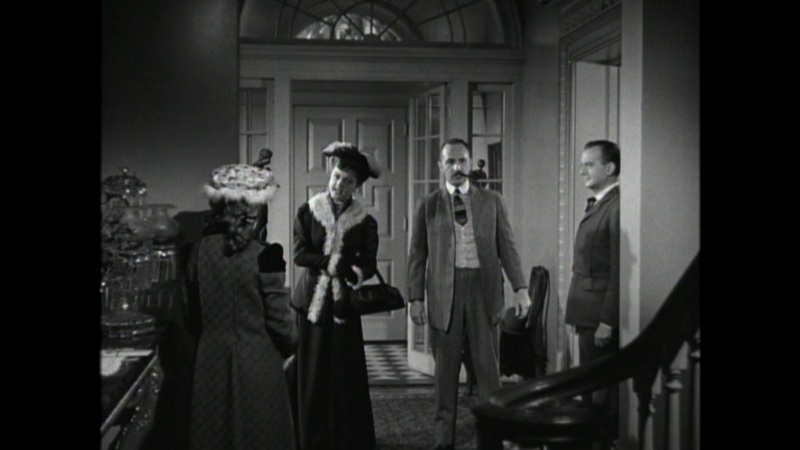 Ethel Barrymore has a great command of the script and she fires her dialog out with authority. The psychological torment in the film seems like something straight from Poe. You can see threads of Gothic Horror hanging around the characters and situations, but it’s more inward and off screen. The film has a bit of a nightmarish quality to it that really makes the situations tense on screen. It’s fairly surprising how few people have seen either of these films and that is really a shame. The scripts are tightly written and interesting. The performances fit the characters and are entertaining. I applaud Warner Archive for making them available for modern audiences to watch and enjoy. Some may lament the availability of the films only being on DVD or that they are made on demand with burned discs. Others may scoff at the lack of any special features or commentaries (only a trailer for the 1951 film is included). I can understand those thoughts but I also appreciate film in a physical format for home viewing. 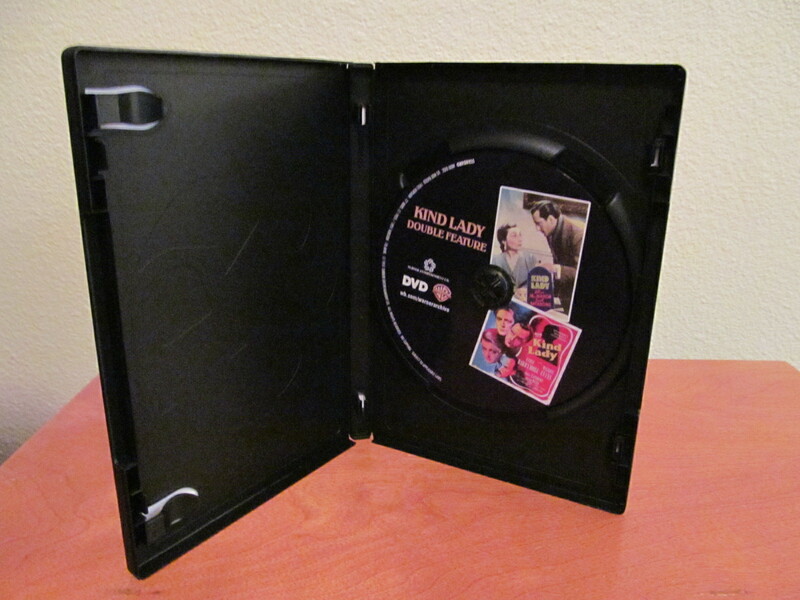 Some times the only way to see a copy of a film is on DVD or through a manufactured on demand setup. The picture quality and sound lived up to my expectations for the films. I am really happy to have them on a disc to watch any time I’d like. If you enjoy black and white dramatic thrillers from early Hollywood, then you certainly need this Kind Lady Double Feature in your collection. These really are forgotten gems that make you feel for the innocent good characters and hiss at the sleazy evil bad guy jerks. If that sounds like something you’d be interested in I would recommend picking it up for your own collection. Available now from Amazon. Note: This DVD was sent to us for review. This has not affected our judgement or editorial process in any way. Please contact us if you have any questions regarding this process. Garrett enjoys diametrically different films. His tastes range from classic art house to modern foreign hidden gems to obscure exploitation trash and beyond. He is a musician, a painter, a photographer and mostly enjoys making weird references and silly jokes. Passionate about your nerdy or pop culture ventures? Want to flex your writing/ podcasting/ game streaming/ YouTube skills? Drop us a line and let us know! We are always looking for more contributors around these parts. We understand how invasive most websites have become these days. Be rest assured that you will find no pop-ups, pop-unders, paywalls, forced social media integration, or anything of the sort here at The Nerd Mentality. We do, however, have operational costs and want to expand our offerings. So we have chosen to include a small number of (hopefully) unobtrusive ads and affiliate links where they make sense. 100% of the proceeds go to keeping this train on the rails and any profits will be spent in compensation for our contributors' hard work. If you have any questions or concerns, please don't hesitate to Contact Us!